Today we’ve got a cheap and easy summer DIY that will keep the kids outside having fun for hours this summer. 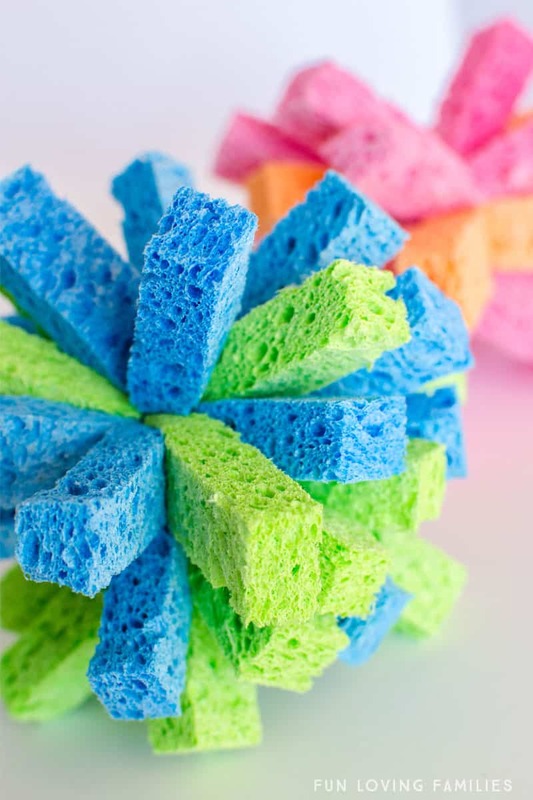 You can make one or a dozen of these DIY Sponge Balls and we’ll show you how. 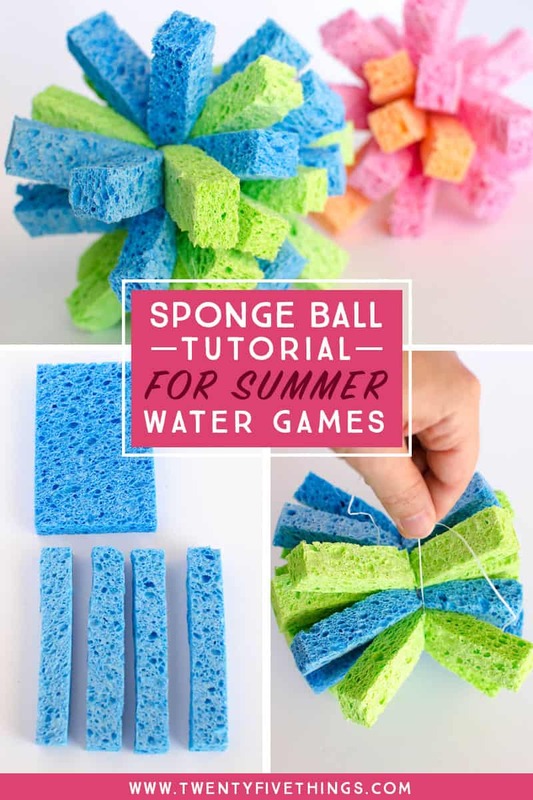 If you have any plans or desire to have some fun water games going on at your house this summer, then these simple sponge balls are a must. We used to be all about water balloons, but, they can sometimes be more trouble than they’re worth. They’re a pain to tie, they don’t always pop when you throw them at your target (ever nail your buddy in the back only to have the water balloon bounce right off? ), and then when they DO pop, they’re are all these tiny plastic pieces that you have to find and pick up. They’re really a bit of a disaster. 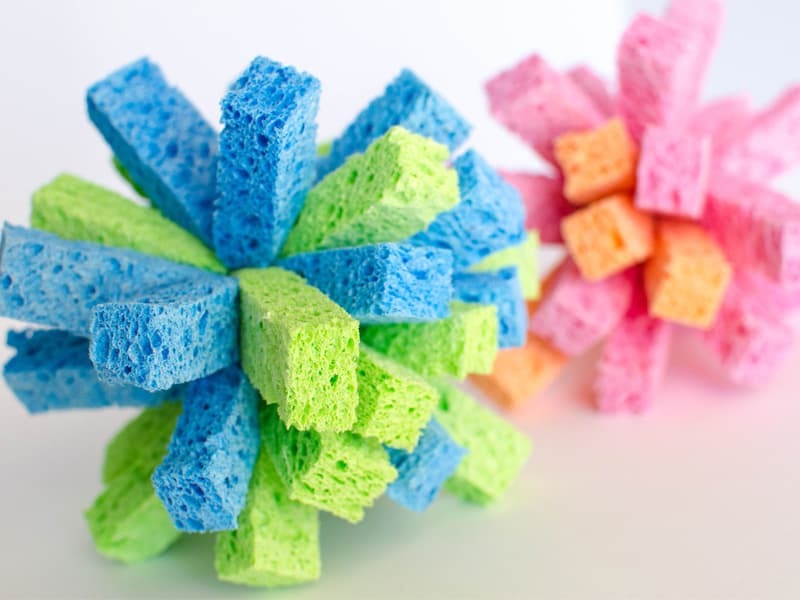 Sponge balls are so much better. 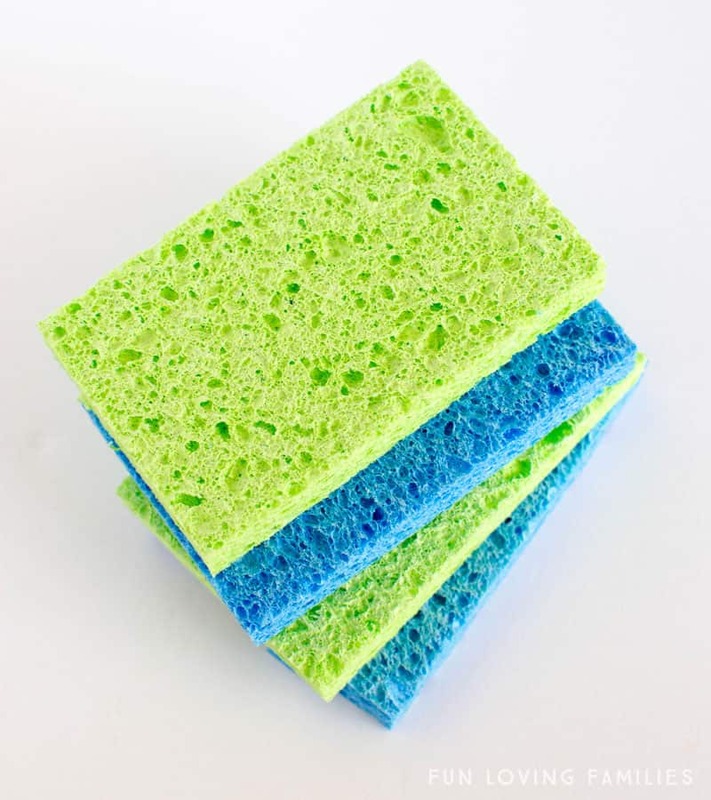 Some people call them “sponge bombs”, but whatever you want to call them, they’re perfect for summer water games. They’re easy to make. They stay in one piece and can hold a lot of water. And, you can reuse them throughout the summer. Just dry them out and store them with your pool toys. So, are you ready to make these things? Keep reading for a step-by-step tutorial to make your own. 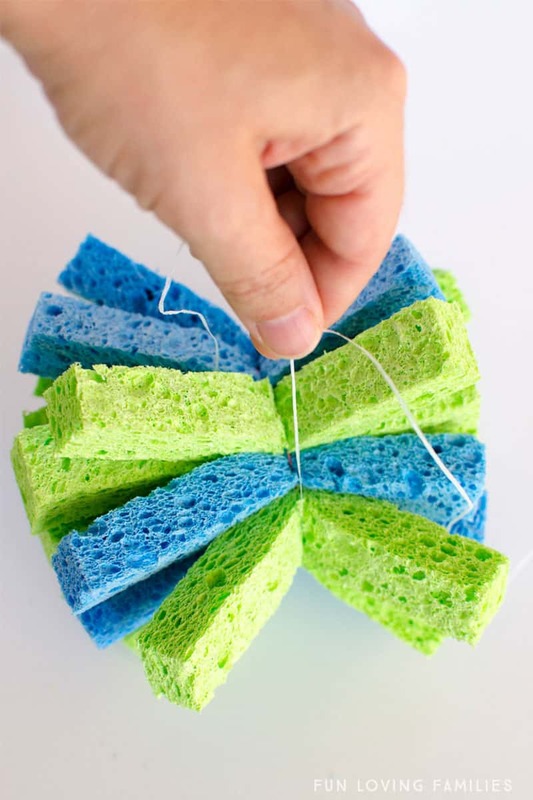 Bundle the sponge strips from all 4 sponges and wrap a rubber band around them in the center. I only had Rainbow Loom bands which weren’t as strong as I was hoping for, so I secured the sponges with dental floss (you could also use fishing line). 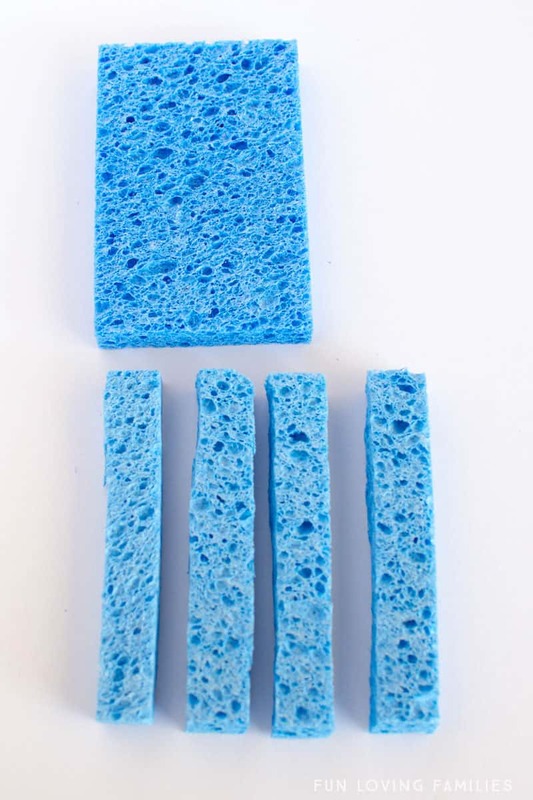 Fluff out the strips and arrange them so that they are nice and poofy! 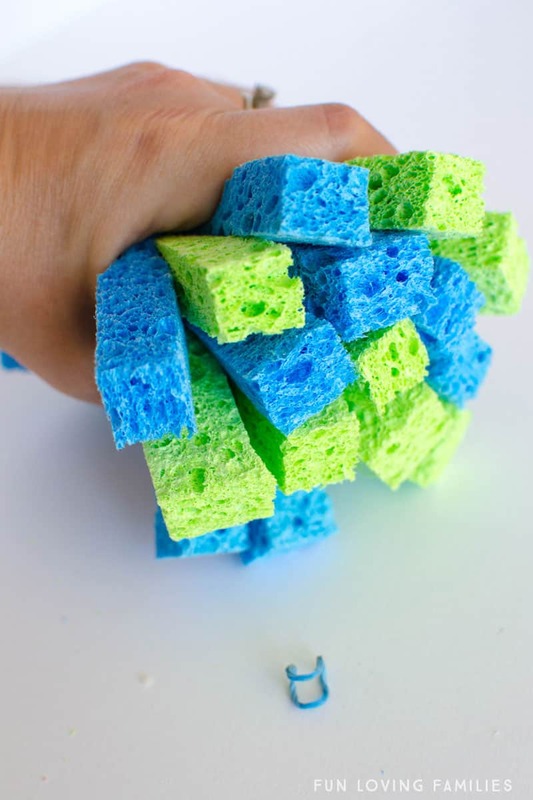 Except now that you know how to make a sponge ball you should go ahead and make about a half a dozen more because your kids are going to be OBSESSED with the these. Be sure to check out our list of pool party games for kids for some ideas of games to play with your sponge balls.